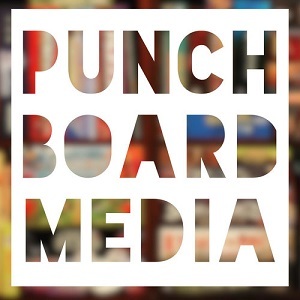 There is a lot going on here at Punchboard Media, so strap in and let’s get right to it, starting with some amazing additions to our stable of content creators. Okay, technically this one isn’t an addition, as The Tattered Board was already part of Punchboard Media, but it’s exciting news nonetheless. The Long View and The Tattered Board both share similar views on playing games at length, until, well, the board is tattered. So when Geof asked TC and Joe to become his co-hosts and merge the two shows, it made a lot of sense. And with Geof sharing the same values we have, we were happy to have the new merged show on our network. Due to The Long View’s impressive history, the combined podcast will keep The Long View name. We have also added a number of great content creators, which are briefly detailed below. Each adds a new, unique voice and perspective to the Punchboard Media network, and we’re thrilled to have them all aboard. Board Game Gumbo: A Cajun-flavored blog from the heart of Louisiana that talks about that spicy next game, or some gaming lagniappe, or even those voodoo games to avoid. Cardboard Architects: A board game design focused podcast that breaks down the nuts and bolts of building games via theory examination, mechanic deconstruction, and exploratory discussion. Gameruman: A board game blogging perspective from South Africa written by Luke Paruman, who writes reviews, session reports, tips and tricks, event coverage, and his experiences sharing his passion with his family. The Good, The Board, and The Ugly: A podcast focused on game discussion from a very diverse set of tastes, where listeners are guaranteed to hear not only an approximation of their own viewpoints, but their polar opposites, as well. Moe's Game Table: Veteran board game writer Maurice Fitzgerald's continuing adventures in board game reviewing, covering both published and Kickstarter games, alongside some industry news and interviews. Open Seat Gaming: A blog written by three LGBTQ+ voices -- Marti, Scott, and Sarah -- that focuses on ensuring everyone that wants to join the board gaming hobby knows they have a seat at the table, no matter who they are or how they identify. The Review Board: Photographer Ido explores and reviews board games through a series of breathtaking pictures on a weekly basis. The State of Games: A podcast hosted by Dice Hate Me founder Chris Kirkman, and game designers Darrell Louder and TC Petty III, that features games they’ve played, the game design process, industry ins and outs, and offbeat gaming topics. We’ve been learning as we go here, and did not realize we initially had the ability to comment on the website turned off. However, we’ve since remedied that, and commenting is now turned on by default on all posts. So come and let our content creators know what you think of the content they are creating for you! Punchboard Media will have many content creators attending GenCon 50, including Board Game Gumbo, Draft Mechanic, Gaming Rules!, Geek-Craft, The Good, The Board, and The Ugly, Mile High Game Guys, The State of Games, WDYPTW, and What's Eric Playing?. Come meet up with many of them on Friday, August 18 from 5pm-7pm to chat, play some games, get some swag, and for the chance to win some games. Details on the location are being finalized, but will be updated on the site and through social media as we get closer to that date. Can't make GenCon? You still have a chance to win some great games! Thanks to our GenCant sponsor Greater Than Games, winners will be able to choose from VivaJava, VivaJava Dice, Compounded, and Brew Crafters from the Dice Hate Me Games catalog, as well as Lazer Ryderz, Spirit Island, and Fate of the Elder Gods. We'll be drawing five winners through Twitter on the Friday of our GenCon meetup, so follow @punchboardmedia for further updates. While we’re always thrilled to give away games to our readers, listeners, and viewers, we also want to give back to the community in some small but meaningful way, which is what this next giveaway is all about. We want your help in choosing some worthy destinations to mail care packages of games. They can be any group or organization that will use the games to help enrich the lives of those they help -- children, disabled people, veterans, the elderly, addicts, convicts, or any other group you can think of that will benefit from the joy of gaming. Choosing from your suggestions, we’ll send out at least two care packages to worthy causes. There will be another post up shortly where you will be able to nominate your suggestions in the comments, so keep an eye out and help us do some good!